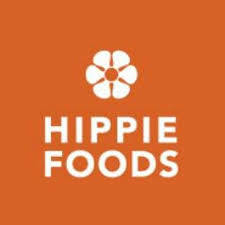 Hippie Foods is a family of healthful snacks made by the folks at Left Coast Naturals, a local B.C. based business that manufactures and distributes an assortment of organic and natural foods. The idea of Hippie Foods originated way back in 2005 when Left Coast Naturals was distributing another brand of tortilla chips. That brand was not selling as well as it should have been, and when our sales reps asked the retailers why, their comment was “Why would this sell any better than the other brands out there – they all taste about the same”. This was a bit of an “aha” moment for us, and we decided there was a different way to make tortilla chips. As we began to play with different ideas, the core concept that kept coming back to us was that there were very few foods made from whole food ingredients that also tasted great. We ended up inventing several new flavours of tortilla chips, and we named them Hippie Chips because they celebrated that 1960's movement of eating natural foods and keeping real, whole foods in our diet. Our entire company believes in doing what’s best. This includes the way we do business. We embrace the quirky collection of individuals that we are, all while having fun! We don’t just work together – we genuinely care about and support each other, and want to help each other grow personally and professionally. Our commitment is not just making great food and serving our customers, but also to doing it in an ethical and environmentally responsible way.Today, Left Coast Naturals has a fleet of trucks, a 32,000 square foot warehouse, and a 10,000 square foot production facility. We distribute nearly 30 brands, nearly 200 organic and natural bulk foods, and manufacture two of our own brands: Hippie Foods and Left Coast Bulk Foods. We’re also the first distributor in North America to have a formal non-GMO policy. With a sprinkling of cranberries and papaya, these seed and nut snacks deliver a balanced sweet and nutty flavour with an irresistible crunch. Organic coconut flakes combines with crunchy, nutrient-packed seeds to create a low in sugar, on-the-go snack you won't think twice about enjoying.